Welcome to Woof Wednesday. Please meet some great dogs from CA, GA, NJ, NY, PA and TX all in need of good, loving homes! This little 5 month old West Highland Terrier mix has no name and is sitting at the shelter really hoping to find someone to love. Please lets find her a loving home! Yet another 5 month old West Highland Terrier mix who is just sitting at the shelter hoping to find a family. Please lets find her a great home! The Los Angeles County Animal Control is overwhelmed with dogs of all breeds who need homes. These dogs have a limited time in shelter before they are put down, they really need our help! 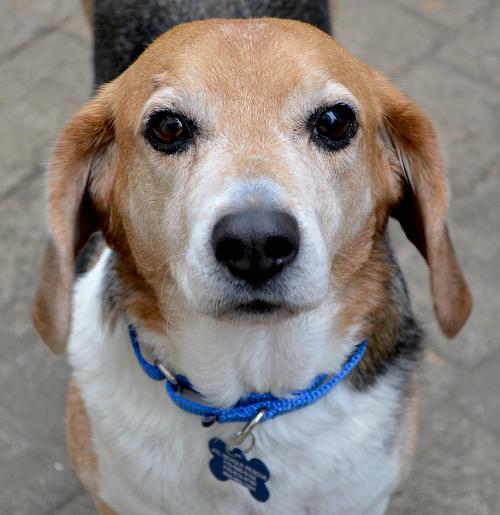 Beckett is an adult Beagle who is good with dogs, cats and even housetrained. He is rather new to the shelter so contact them to learn more about him. Please lets find him a good home! 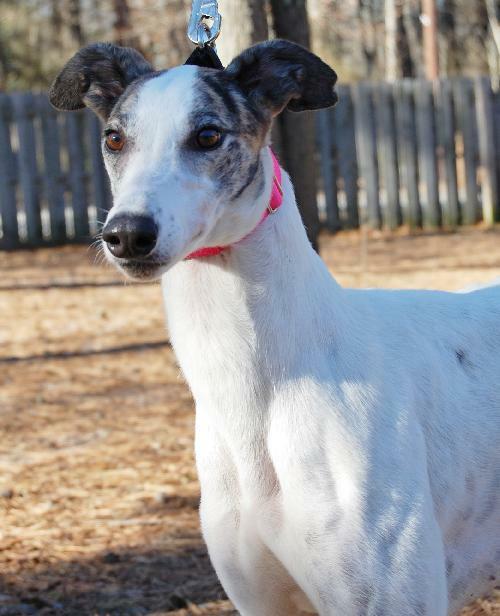 Pink Diamond is a beautiful, friendly, outgoing Greyhound girl. She's playful but not pushy and gives kisses. She seems eager to please and settles in easily when walking on leash. She's a happy girl with a sweet disposition. This 2 year old girl loves people but with cat is workable in that she was interested but could be directed and corrected away from the cat. Please lets find her a loving home! 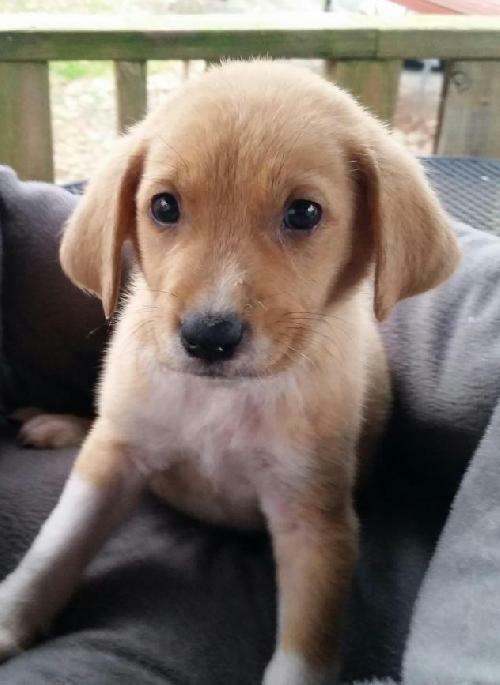 Aggie is part of litter actually who are adorable 9 week old Lab Mixes. They are very curious and playful, are very well socialized with other dogs. So cute and affectionate, they love to play with their toys all day and then jump in your lap for belly rubs. They are learning to use the weewee pad and also release outside. They will make great family dogs to an active household. These guys will grow to be medium sized dogs. Please lets find them great homes! 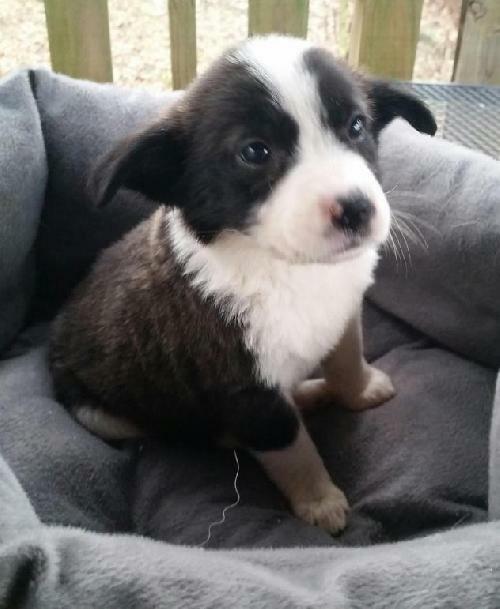 Taleah is part of a litter as well, who are adorable 9 week old Border Collie Mixes. They are very curious and playful, are very well socialized with other dogs. They are cute and affectionate, love to play with their toys. They are learning to use the weewee pad and also release outside. They will make great family dogs to an active household and will grow to be medium sized. Please lets find them a good home! Roscoe is a Black Lab/Border Collie mix. This adorable guy has a pretty remarkable story. Roscoe was found digging through trash in Philadelphia the bitter cold of January. His finder, worried about his welfare, checked in with a local business nearby. They confirmed that he had lived there, but he didn't actually belong to anyone. Roscoe was then brought to Philly's animal control shelter for safety. No one came to claim him so City of Elderly Love gladly stepped up to save this amazing dog. Roscoe is around 10 years old. He has a medium length coat with a white blaze on his chest and white socks! Roscoe weighs about 60 lbs and has long, lean legs. When he came to the shelter, it was discovered that Roscoe had severely infected ears; a condition that he likely suffered from for the majority of his life though easily treatable. Despite being in pain and not being able to hear well, Roscoe remained sweet as pie and happy to meet everyone. We quickly got Roscoe surgery to clean out his ears once and for all and be neutered at the same time. He's feeling better now. Roscoe walks great on the leash and loves to go for walk around the neighborhood. He has great manners and already knows basic commands like sit. He also loves to go for car rides and just sits back and goes with the flow. While Roscoe is over his rough and tumble wresting days, he's polite and friendly with all of the children he has met. Beside being a bit underweight and having some normal age related hip stiffness that will resolve with basic joint supplements, Roscoe is otherwise healthy. He'd make a great companion for anyone looking for a sweet, mild mannered and adorable dog. Please lets find him a loving home! 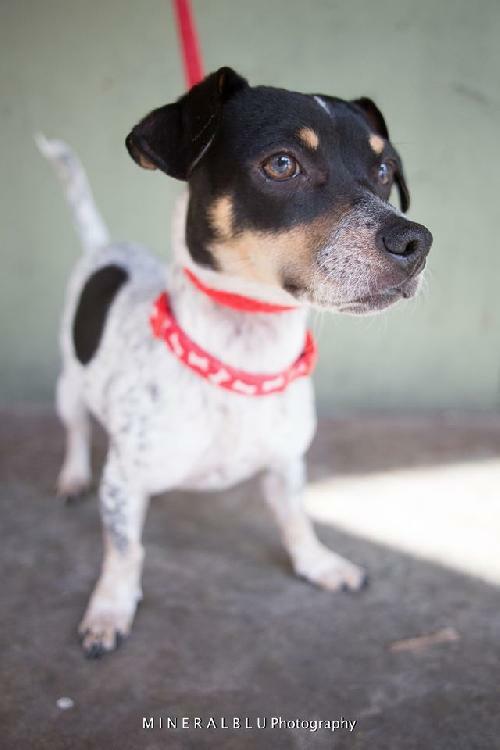 JJ is a handsome Rat Terrier/Dachshund mix puppy. He is an energetic and who makes friends fast. He enjoys a good game of chase around the house with his canine friends. JJ is very eager to please and is a champion snuggler. He is currently working on his house manner skills, as he is a young puppy who seems to have never lived inside a home. However, it shouldn’t take long for him to master these skils because he is a fast learner, especially when given a lot of praise. He is housetrained. He has already learned the command sit in a really short time. He is curious with cats but is quickly corrected if he shows too much interest and has not yet been around kids, although there's no indication he wouldn't be good with them. Please lets find him a great home!